Blaney kicked off the weekend with practice on Friday and posted the 36th-fastest time of 29.784 seconds. The TBR team worked on the Accell Construction Chevrolet, and Blaney wheeled the 34th-fastest qualifying lap of 29.506 seconds to guarantee a starting spot in the Kobalt Tools 400. The No. 36 Accell Construction Chevrolet ran a fast lap of 30.113 seconds for the 37th-quickest final practice time at the 1.5-mile track. Blaney took the green flag for the Kobalt Tools 400 from the 34th position, and by lap four, he radioed that the car was extremely loose. An early caution on lap eight gave the team an opportunity to work on the car. Blaney drove the No. 36 Accell Construction Chevrolet down pit road, and the TBR team filled the car with fuel and made a wedge adjustment. Blaney drove into the 25th position during the three green-flag laps before the next yellow flag flew. 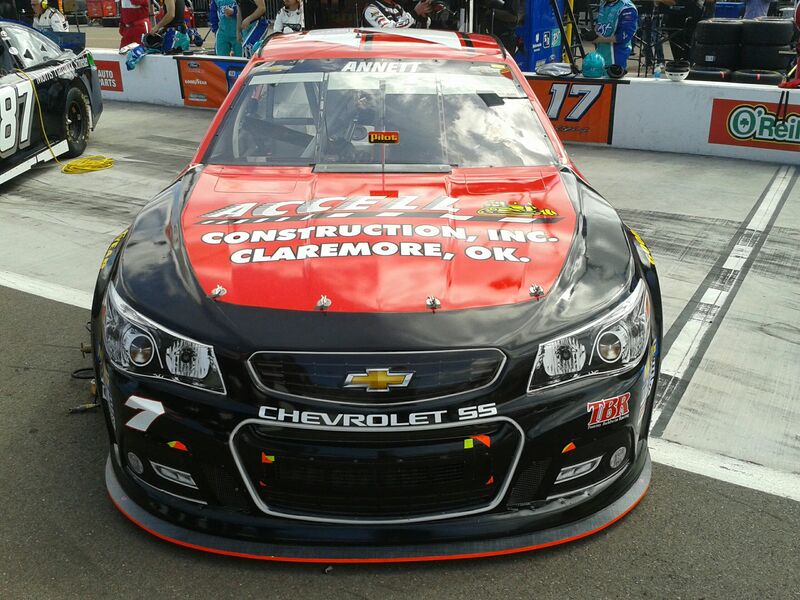 The Harford, Ohio native radioed that the Accell Chevrolet was much better for those laps. 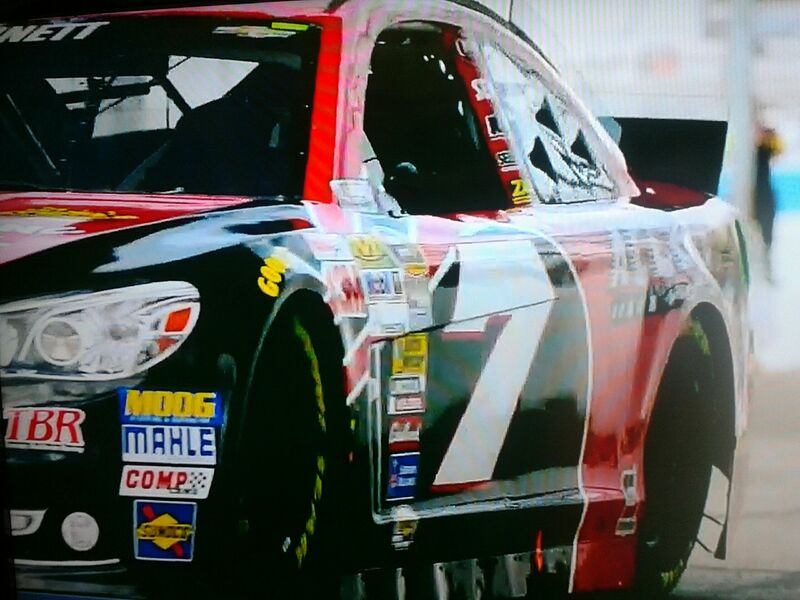 Throughout the next green-flag run, the car was better, although it was loose coming off the corner in turn one. By lap 39, the No. 36 Chevrolet fell back to the 33rd position as the loose condition worsened. Utilizing pit strategy to the team’s advantage, Blaney stayed on the track until everyone had to pit for fuel and lead lap 59 before coming in for service. 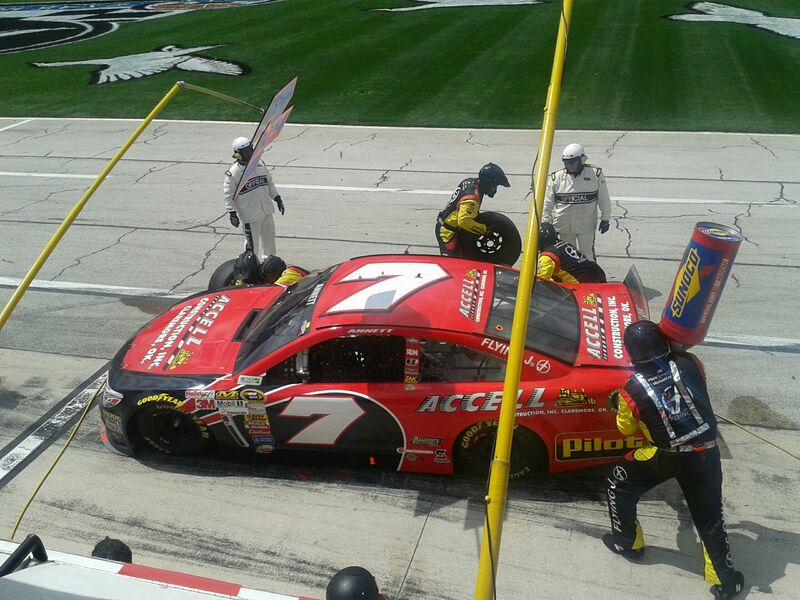 The Accell Construction team changed four tires, made an air pressure adjustment and added fuel on lap 60. The No. 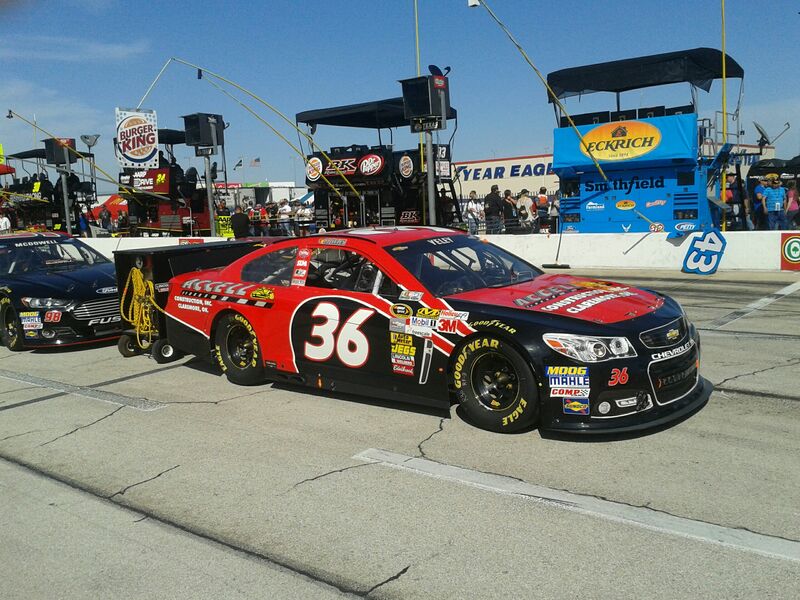 36 Chevrolet came off pit road in the 35th position, one lap down. During the next run, Blaney radioed that one lap would be good and the next would be really loose. As the condition worsened, the No. 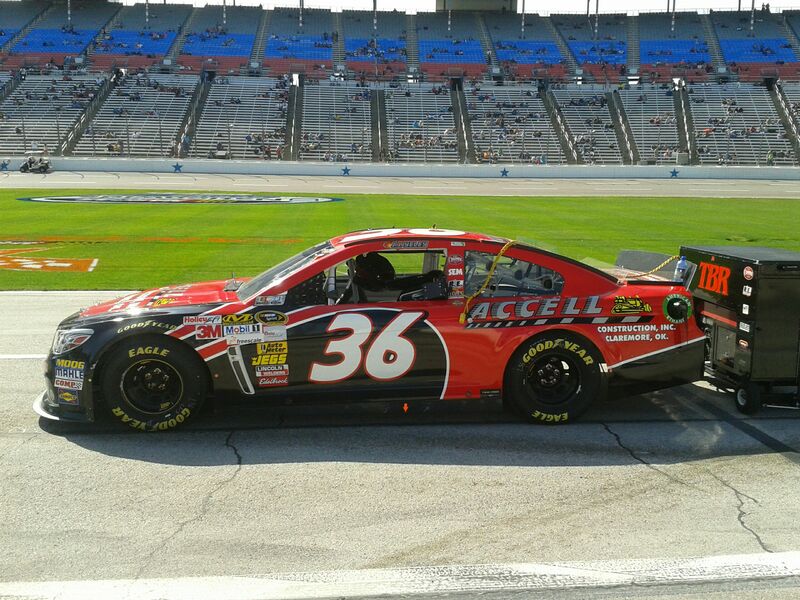 36 Accell Construction Chevrolet fell another lap down and sat in the 33rd position. 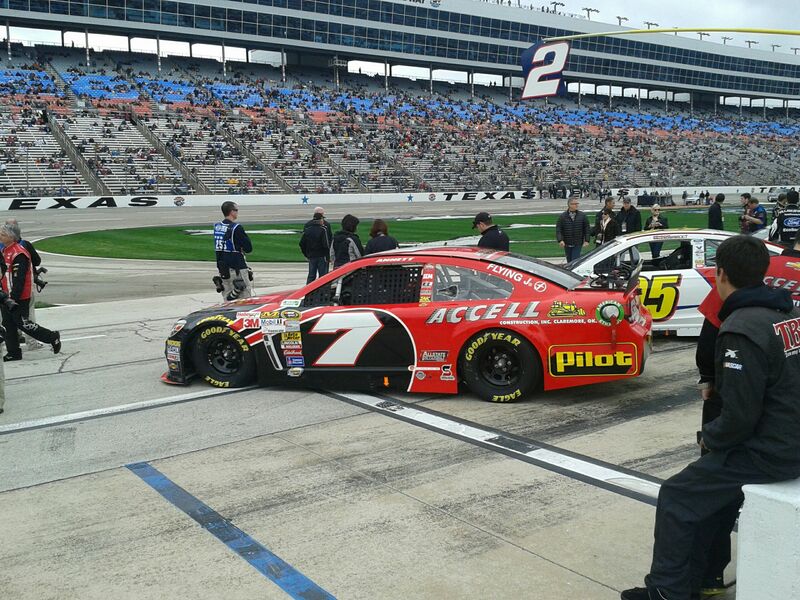 A debris caution on lap 96 allowed the TBR team to make changes to the Accell Construction Chevrolet. The team made another four-tire stop and wedge adjustment, and Blaney restarted in the 34th spot, two laps down. The team topped off the Accell Construction Chevrolet, changed four tires and made another adjustment during the lap 115 pit stop. Running in the 33rd position on lap 128, Blaney radioed that the Chevrolet was too tight in the center, but when it turned left and he hit the throttle, it was loose. Blaney and the TBR team continued to struggle with the loose condition of the Accell Construction Chevrolet until the end of the run. On lap 144, the Buckeye Bullet radioed that it was the first time all day he drove into the corner and did not have to turn the wheel to the right. Crew chief Tommy Baldwin radioed that the sun went into the clouds and that helped the car’s handling. A lap 149 caution allowed the team to make a yellow-flag pit stop while in the 32nd position, three laps down. Blaney radioed that the car was driving the best it had all day but that he could still use some grip going in and off the corner. The team put four scuff tires on and filled the Chevrolet with fuel. 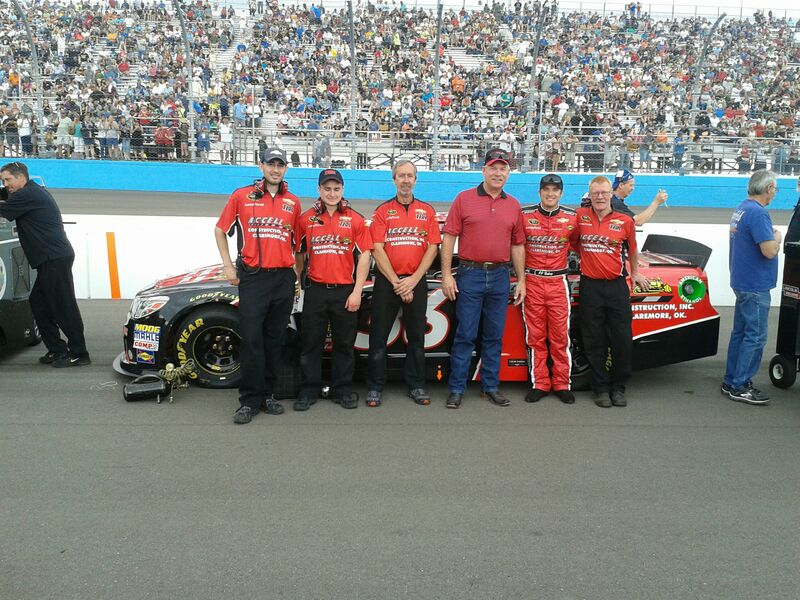 The Accell Construction Chevrolet restarted 31st, three laps down. Unfortunately, the No. 36 dropped back to 35th by lap 161, and Blaney radioed that the car was a 10 plus tight and shaking. On lap 176, the leader put the Accell Construction Chevrolet another lap down, as Blaney ran in the 34th position, four laps down. 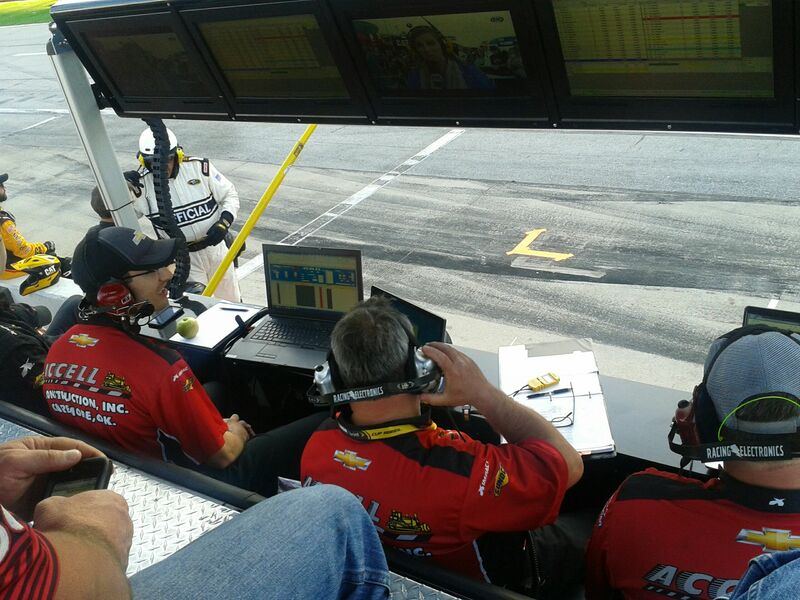 By lap 185, Blaney radioed that the tires would not last much longer on the track and suggested the team short pit. To work on the handling, Baldwin called the No. 36 down pit road for four sticker tires and fuel. Luck was not on the team’s side as Jeff Gordon hit the wall and brought out another caution. 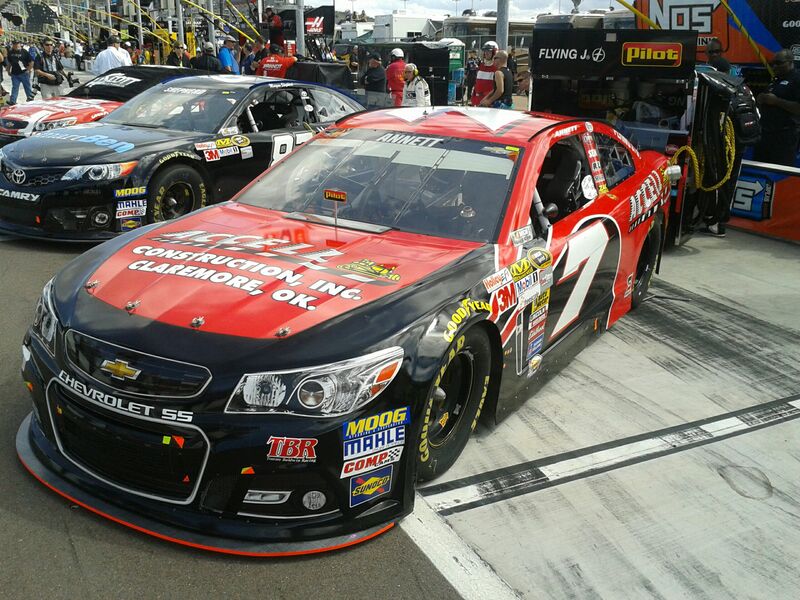 Since the field had not finished green flag pit stops, the TBR team was now six laps down. The team decided to stay out and get the wave around to get a lap back to race for a few more positions. The No. 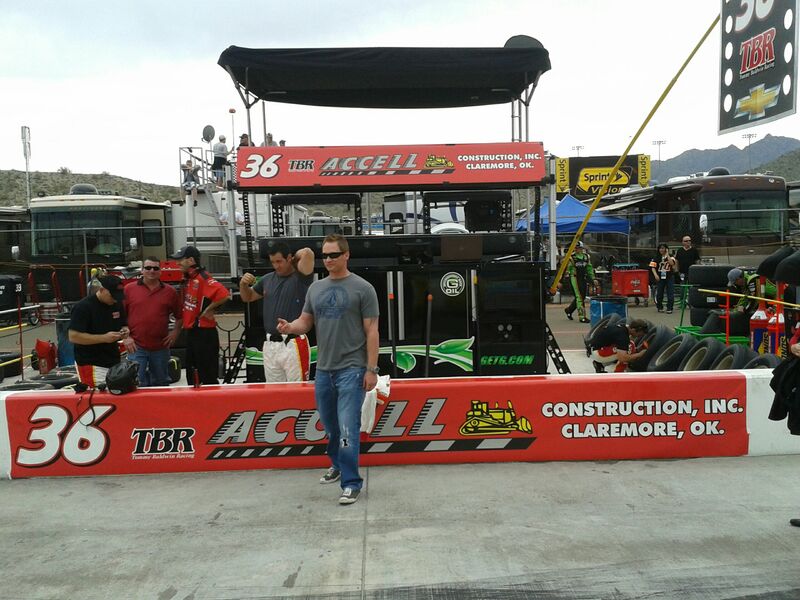 36 Accell Construction Chevrolet restarted 35th, five laps down. Unfortunately in the final 66 laps, the handling did not improve, and the team worked to salvage the best finish they could. During the final pit stop on lap 237, the team made a significant air pressure adjustment to try to fix the handling. When Blaney radioed that the car was not any better, Baldwin concluded that something broke in the car and encouraged Blaney to do the best he could in the final 21 laps. Blaney wheeled the No. 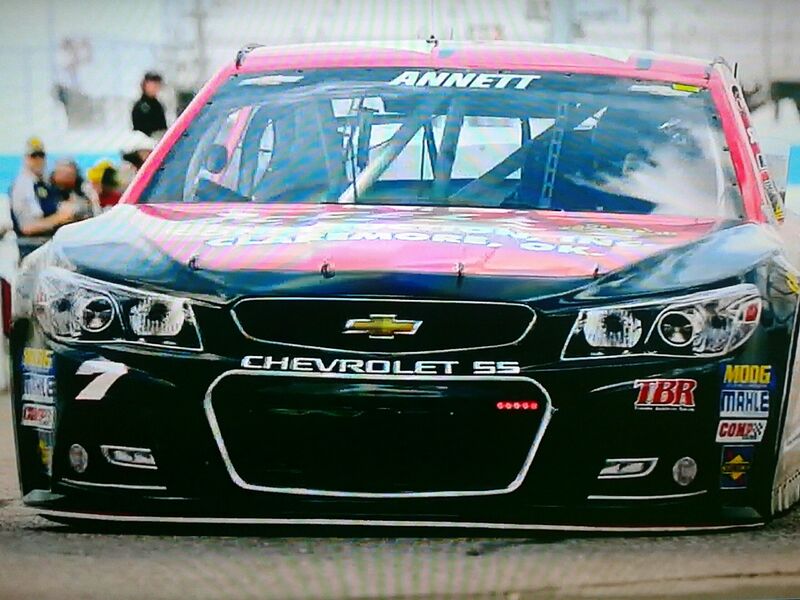 36 Accell Construction Chevrolet to the 34th position, seven laps down. Following the race, the team inspected the car to find the problem. The team found a part failure in the rear of the racecar and concluded that the failure affected the handling of the car following the good run midway through the race. The finish puts the No. 36 in the 38th spot in owner points, 13 points outside of the top-35. Blaney now sits 35th in driver points. The NSCS will return to racing at Bristol Motor Speedway following the off-weekend. Blaney will drive the No. 36 TBR Chevrolet in the Jeff Byrd 500 presented by Food City on March 20, 2011.